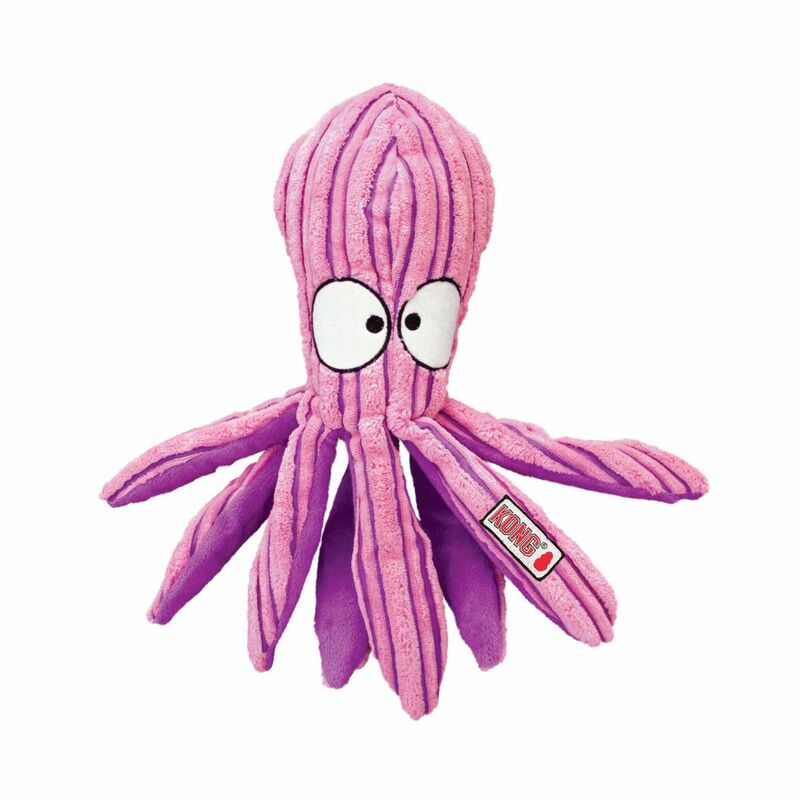 Cuddling with sea creatures has never been this cute. 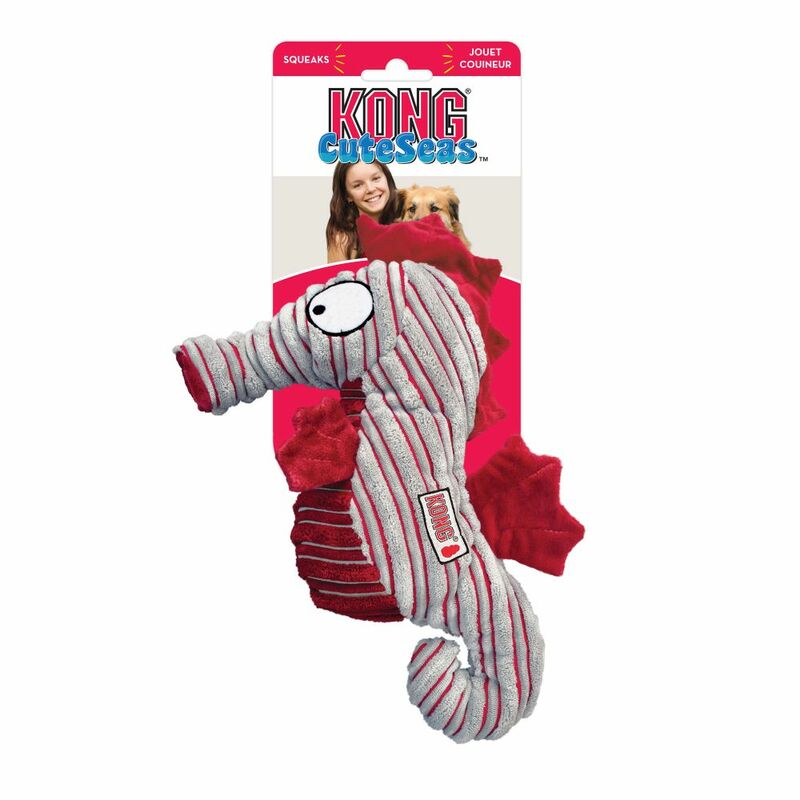 KONG CuteSeas are made of soft corduroy for snuggling. 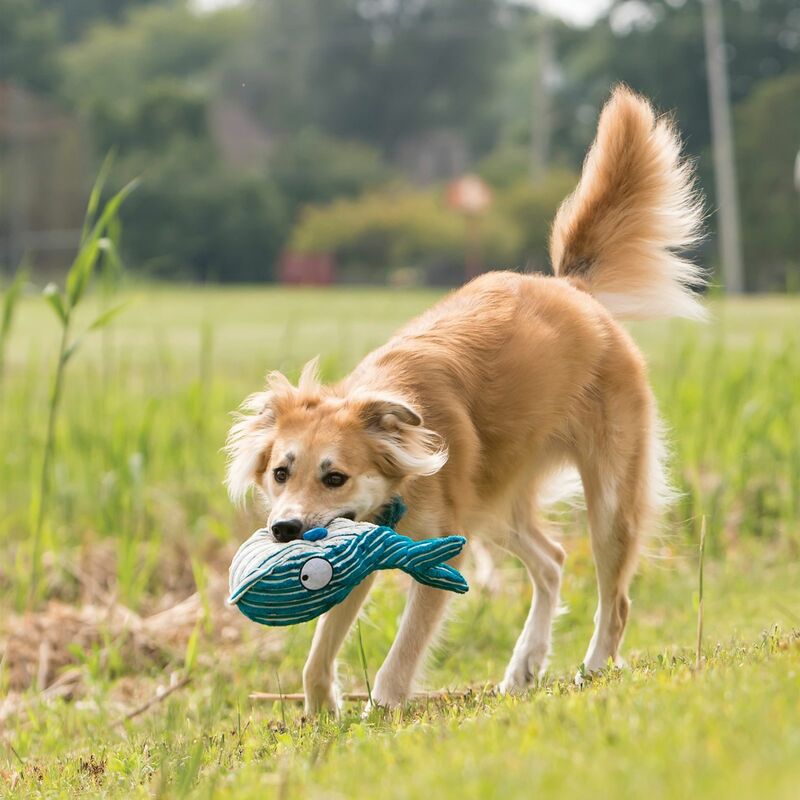 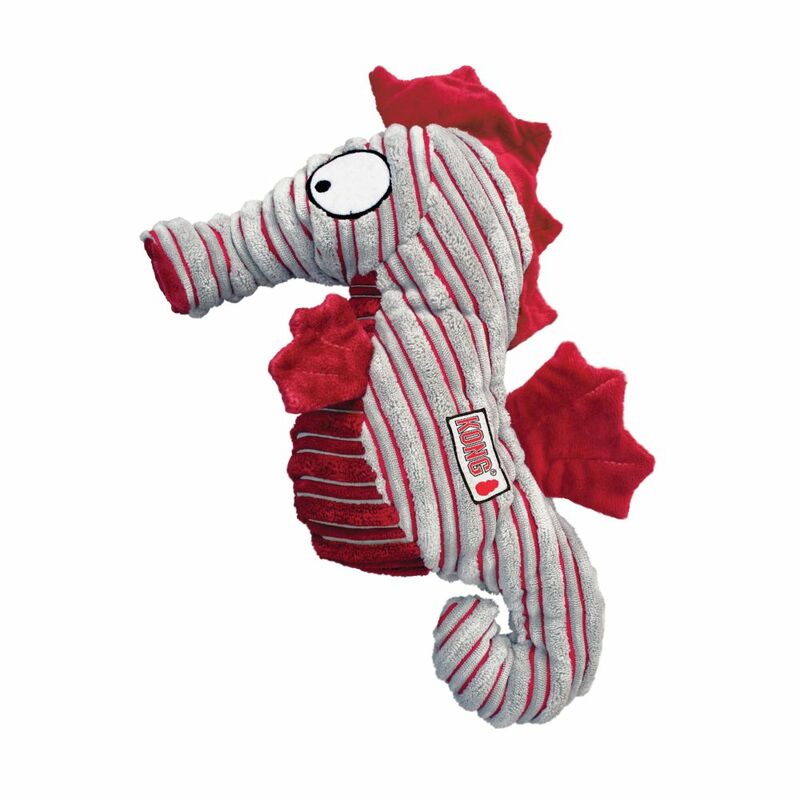 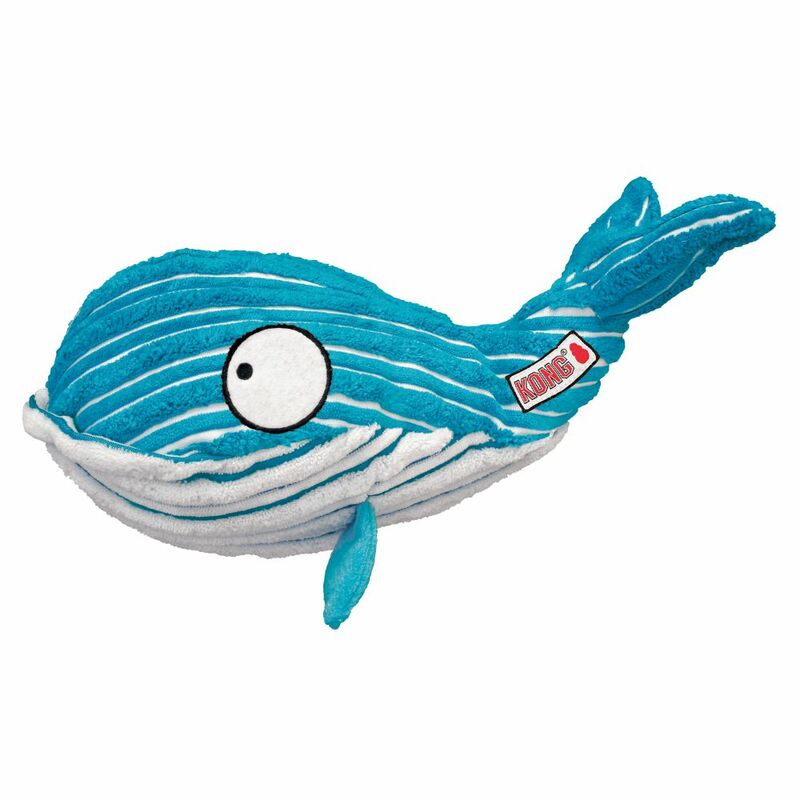 They also contain a squeaker and make a crinkle sound during playtime.